Great value in today's current market! This sun-filled, well kept ranch offers convenient one level living. Spacious living room complete with hardwood floors, a large picture window and a beautiful brick fireplace. Fully applianced eat-in kitchen with large pantry. Three generous sized bedrooms all with hardwood flooring, and plenty of closet space. Fourth bedroom is two steps down from your kitchen, and can easily be used as a family room or office. Enjoy summer cookouts on the back patio in your over-sized, level backyard. One car attached garage, and paved driveway provide plenty of off street parking. 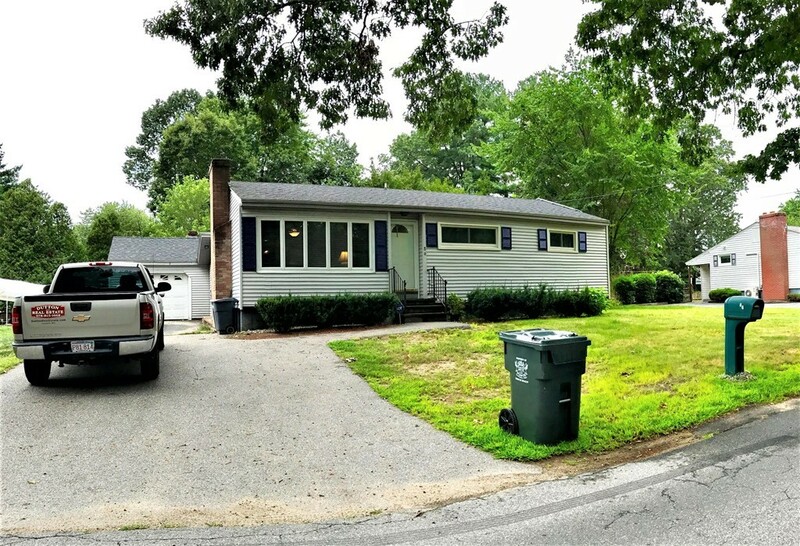 Situated in a nice Dracut neighborhood, and also easily accessible to shopping, schools, and public transportation. This home is a must see! Don't wait, call today to schedule a showing.